Stop guessing, start yessing. Gather actionable data from your customers with one simple click. Discover what customers love about your brand, use this data to develop your brand positioning. Collect and analyse feedback about your marketing efforts, promotions or gather RSVP's for an event. 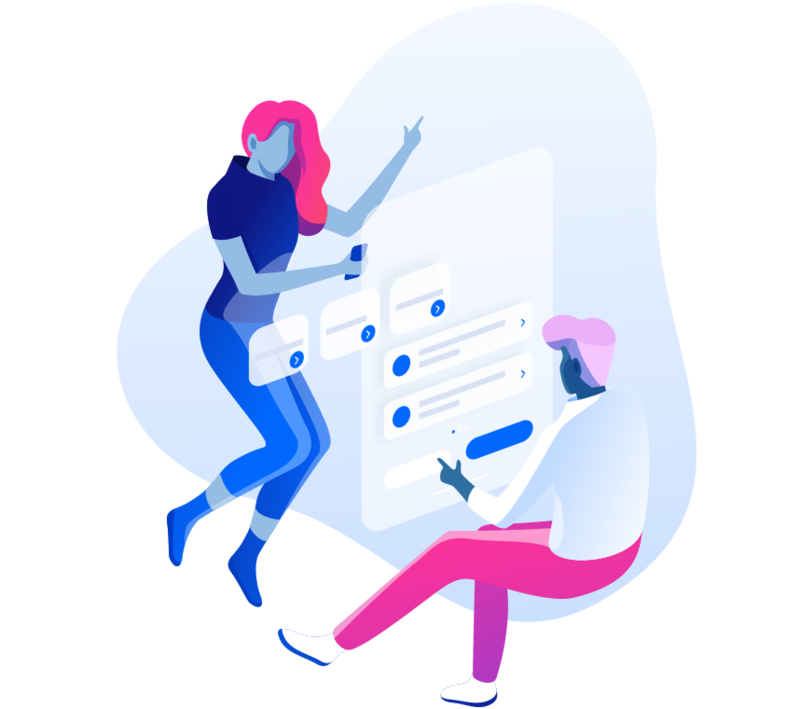 Collect feedback from your visitors at key moments, gathering little gems for website improvements. Discover your users’ needs, pain points, challenges or gather feedback on new product ideas. Stop using Survey Monkey. 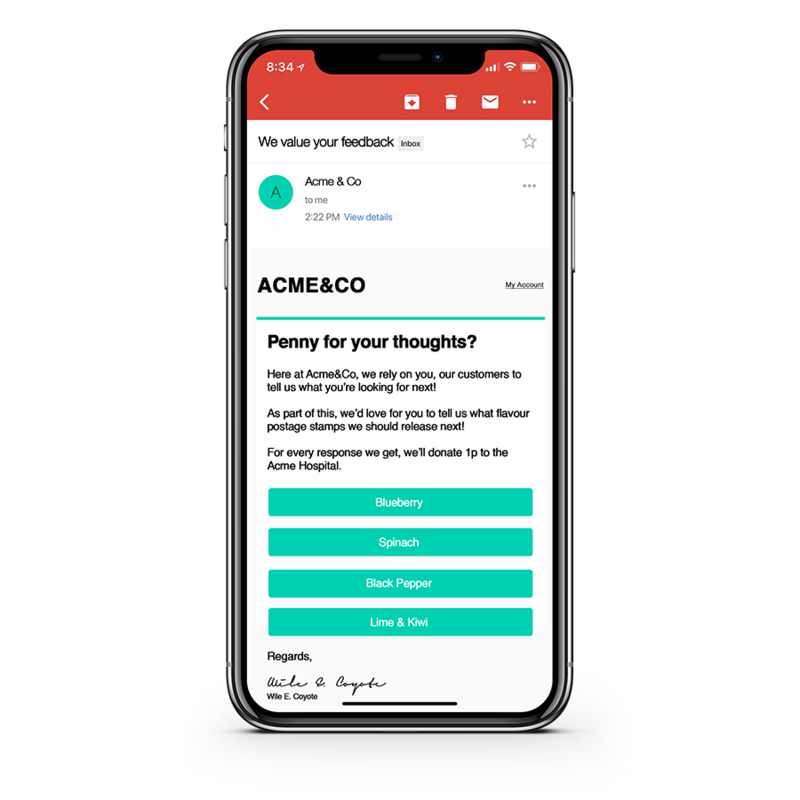 Send your customers a simple one-click survey they can answer directly from their email inbox. Survey website visitors whilst they're actively browsing your website. Integrate Clicksy into an email marketing campaign for an exclusive VIP event, collecting your guestlist at the click of a button. Looking to do some market research on your next product release? Use the thousands of voices and opinions browing your site to determine your next product. Your 'two minute' questionnaires never take just two minutes, and the response rate is weak. Collect insights at the click of a button. Our pre-styled website widgets are easily integrated with one simple snippet of code. 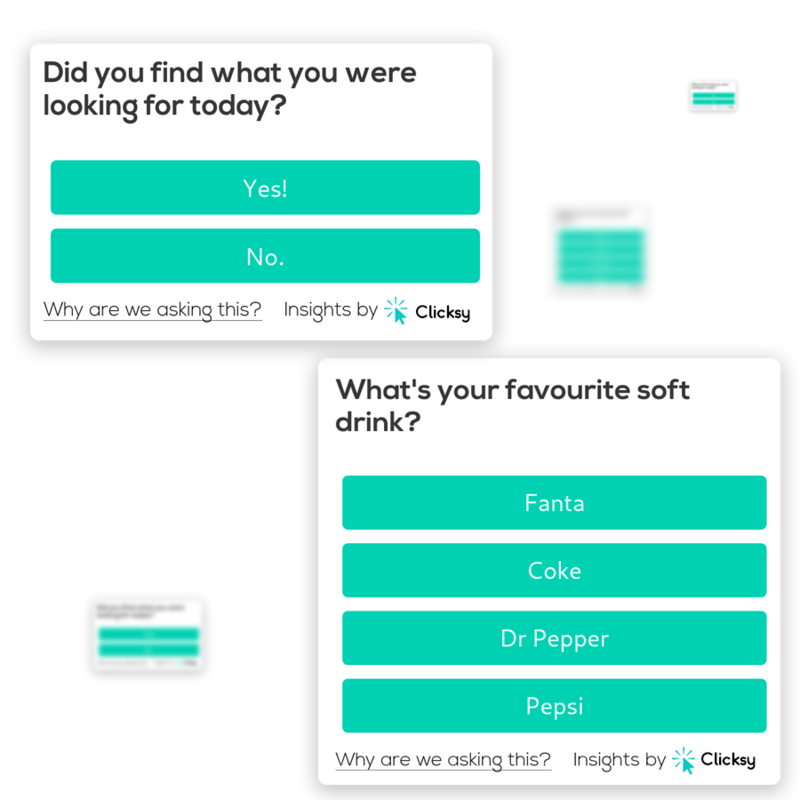 Simply generate your survey and add the code to your website to start taking insights through Clicksy. We provide a simple, bulletproof way of adding Clicksy to your favourite email client. Simply select your brands colour and we'll generate a snippet of code that will display beautifully in your HTML email. To recieve updates on our product roadmap, simply enter your email address below.